Three speed internal hub paired with a cassette hub body that can take Shimano/SRAM 8/9/10 speed cassettes. 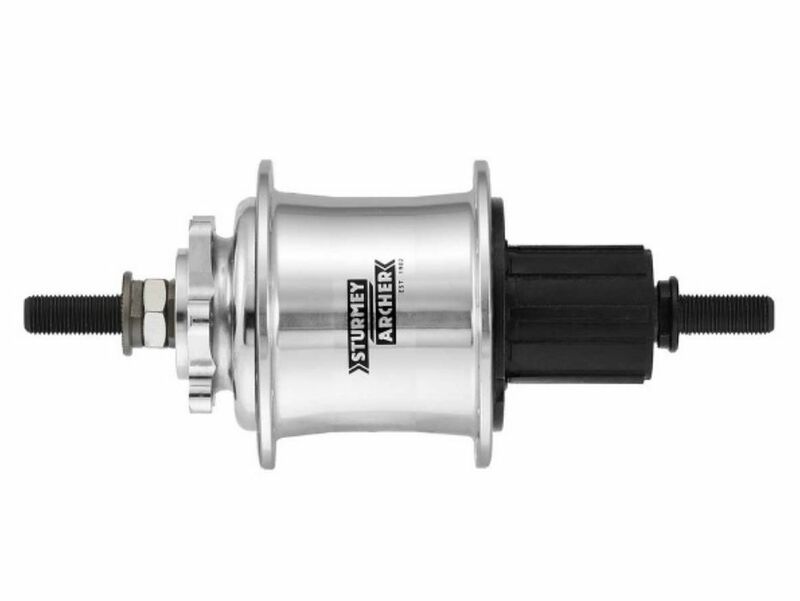 The best option if you are looking to replace an old SRAM DualDrive hub. This one has disc brake compatibility and is finished in polished silver. 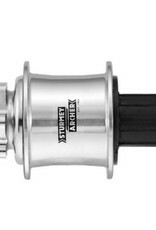 The best of both worlds - legendary Sturmey Archer internal gear reliability and the potential for massive gear ranges all in one rear hub.